Cookies are usually delectable delights, but Web cookies can sometimes be less than delightful. These little files hide in your computer so that your browser and websites can track your browsing sessions and save certain useful information, such as account names and passwords, for later retrieval. Although cookies may seem harmless overall, they can threaten your privacy if an attacker tries to use them maliciously. 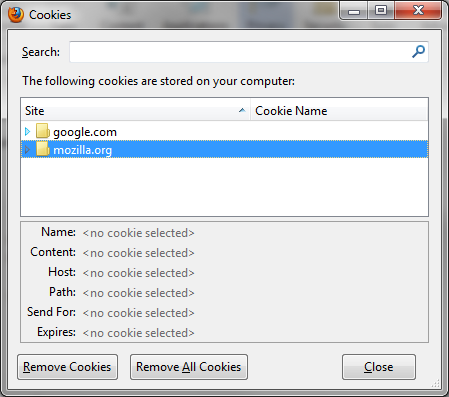 Because of that threat, most modern browsers make cookie storage easy to understand and control. They also make it simple to remove individual website cookies, or even to delete cookies from your computer entirely. Here's how you can perform the latter task in some of the most popular browsers. 1. If you're running Google Chrome version 14 or higher, click the wrench button in the upper-right corner of the Chrome window. From there, select Options. 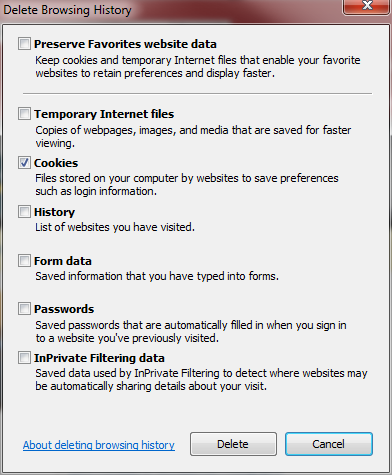 Click the 'All cookies and site data' button in the Content Settings window. 1. Make sure you're running the latest version of the Firefox browser, and then select the Firefox menu. From there, select Options and then Options again. 1. Confirm that you're running version 5 or later of Apple's Safari browser, and then click the Gears menu in the upper-right corner of the Safari window. 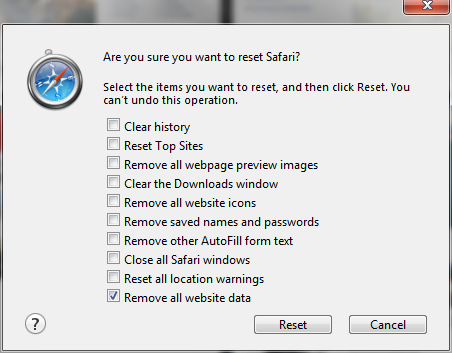 From there, select Reset Safari. In this window, check the bottom box, 'Remove all website data'. Congratulations, you've successfully cleaned out your browser's cookie cabinet. Although cookie files pose a potential threat to privacy, don't forget that they can also improve your Web browsing by making it faster and more convenient.